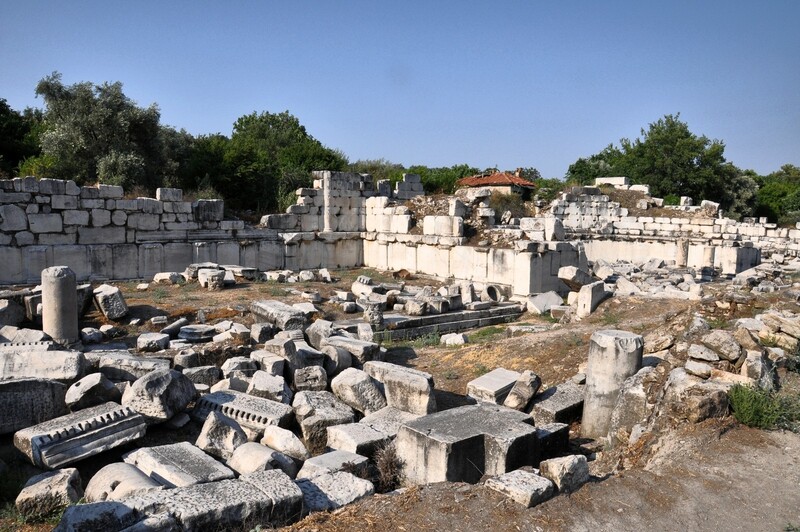 The Stratonicea bouleuterion, built in 129-130 BC, resembles stylistically the one from Miletus. The entrance is on the western side of the building and four rows of seats have been preserved. 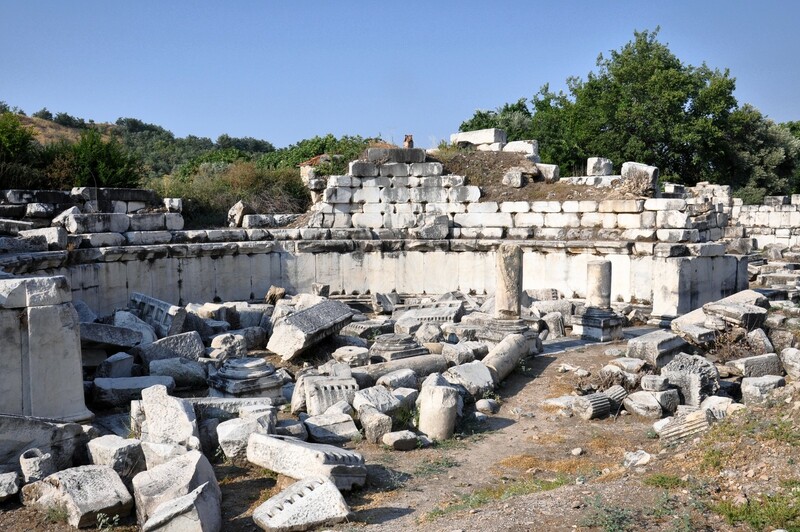 In the past some scholars identified it with the Serapis temple, but the inscriptions found in the bouleuterion as well as an edict by emperor Diocletian testify against this theory. 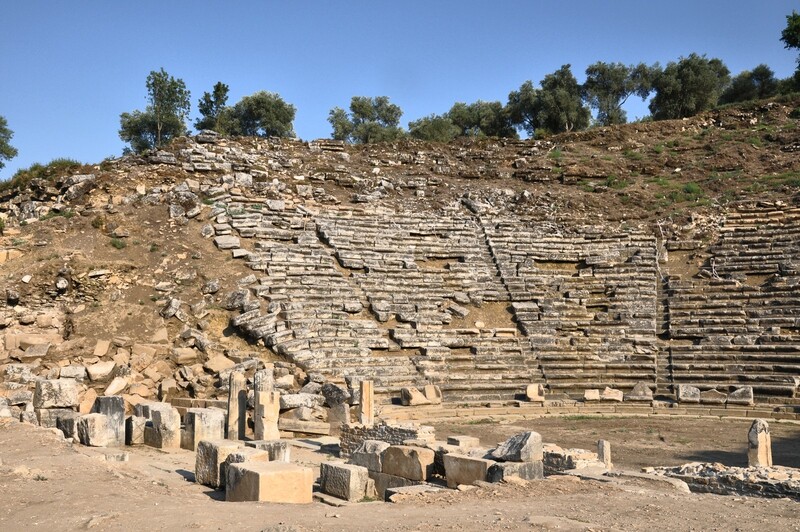 The agora occupies the large area to the west of the bouleuterion. 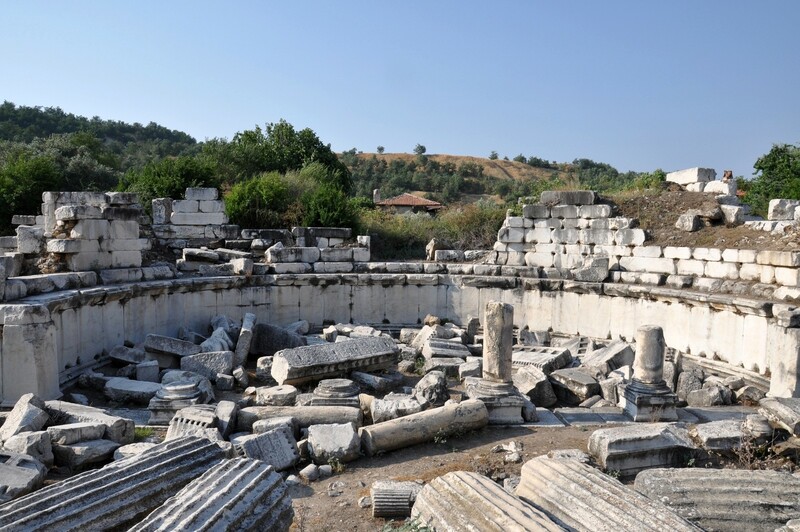 Chronologically, it belongs to the first stage of the city development during the Seleucid reign. 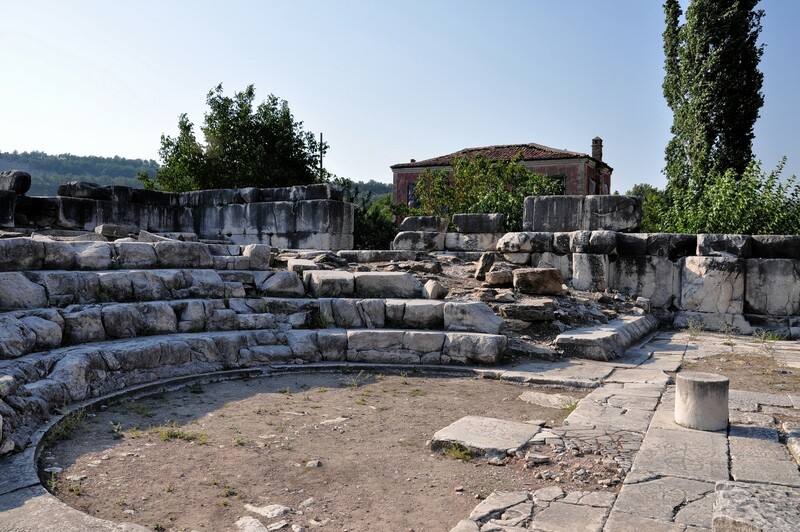 The agora was surrounded by a massive wall. The fragments of it are still visible. 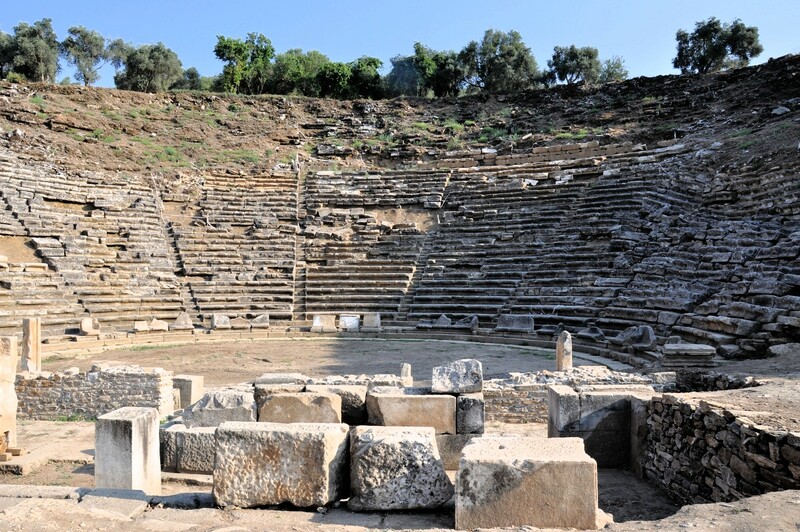 The theatre was erected in Hellenistic times on the northern slope of the hill situated in the southern part of the city. Its capacity is estimated at 10 to 15 thousand spectators. 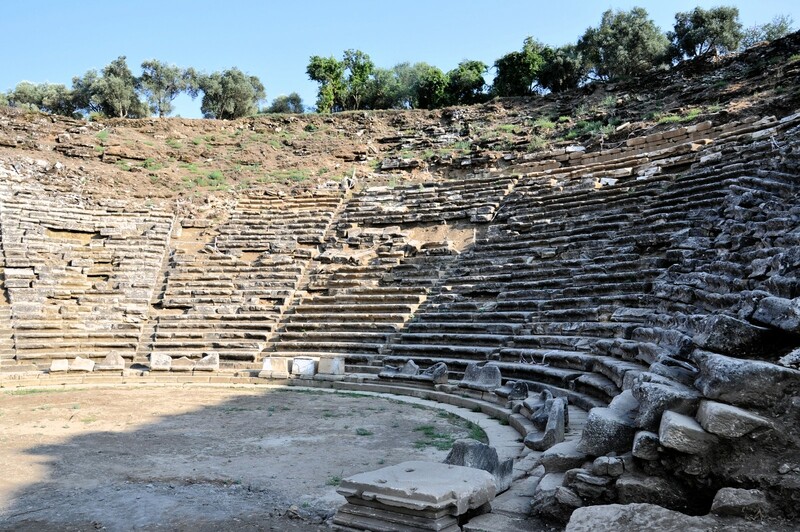 This theatre is typical for Greek architecture in Asia Minor. 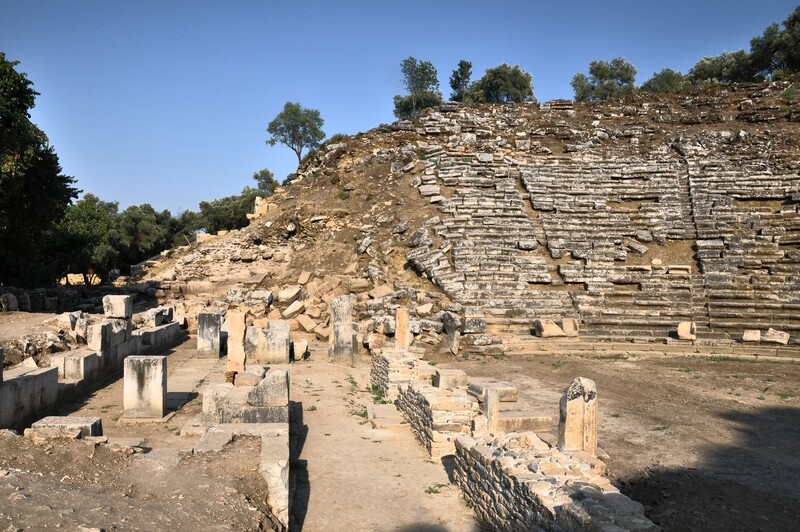 21 rows of seats have been preserved as well as numerous Greek inscriptions. 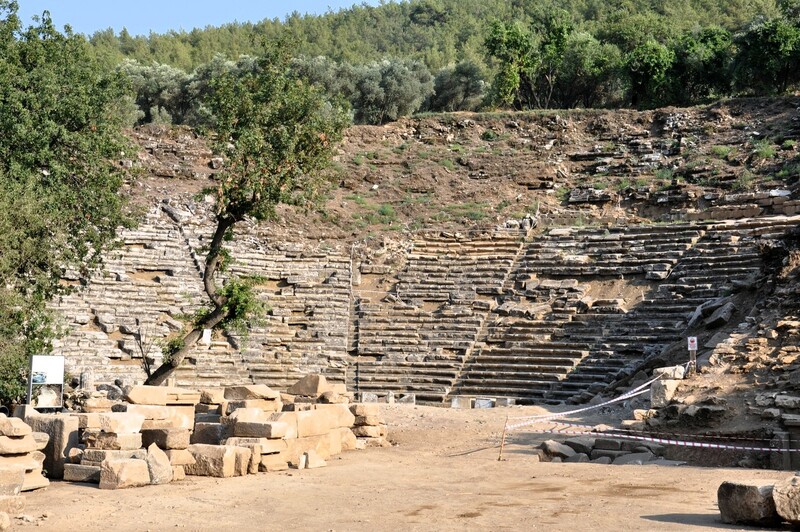 In Roman period the theatre was partly reconstructed and an ornamented skene was added. 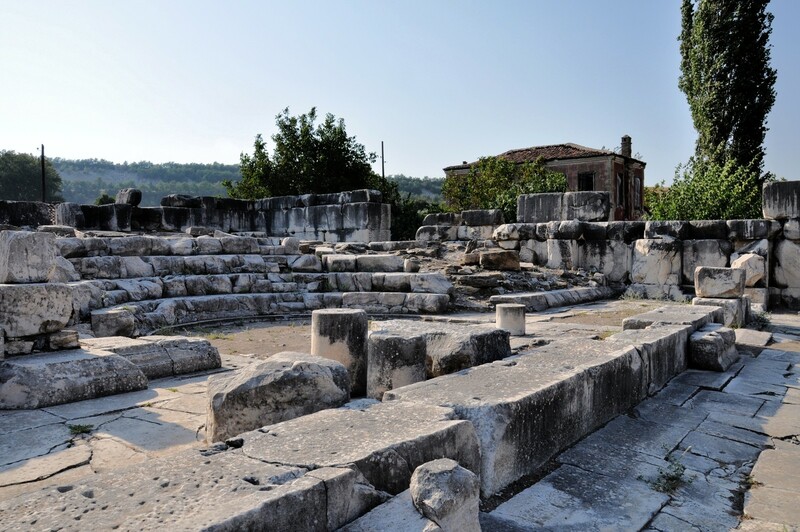 The temple is situated just behind the theatre, in the location that towers above the city. 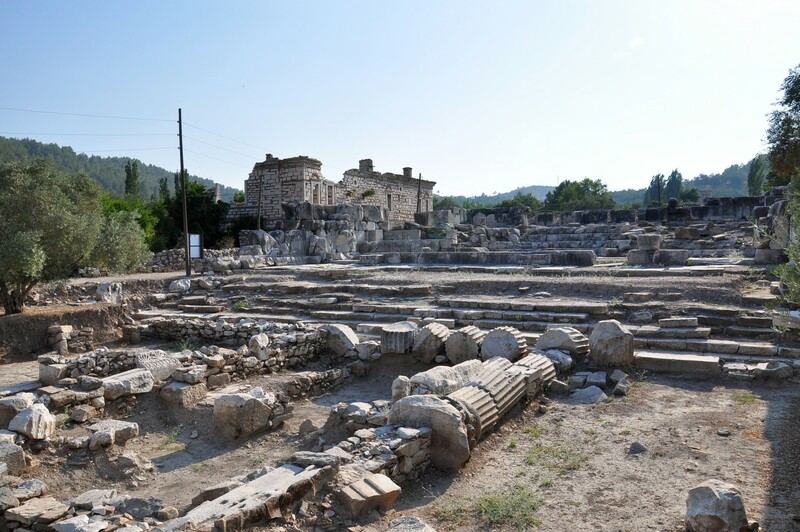 Its style is the imitation of Ionic Temple of Zeus in Labranda which was the most important Carian religious sanctuary. 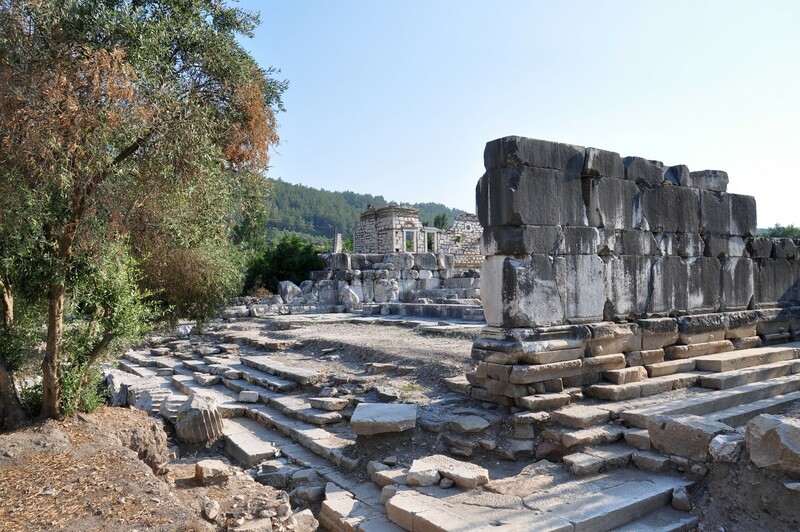 It remains unclear which god or goddess was revered in this temple, most probably it was Zeus Chrysaoreus, but, according to some theories, this temple was dedicated to the Roman imperial cult. 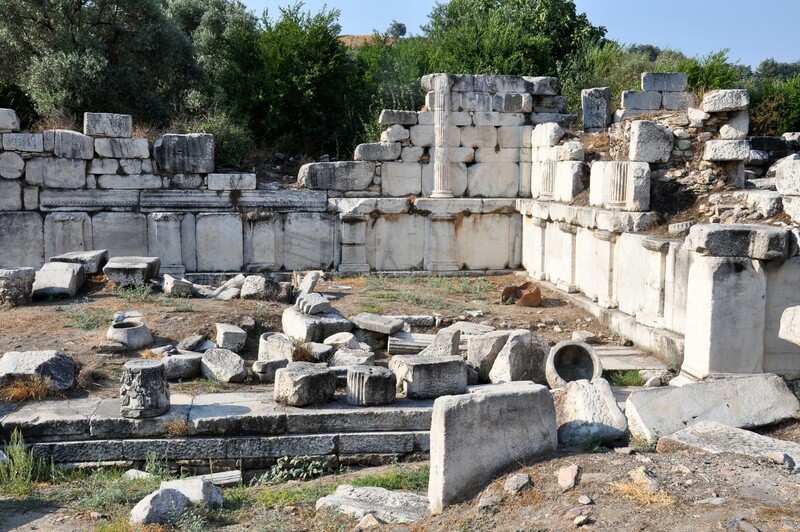 The gymnasium in Stratonicea is the biggest structure of this kind preserved in the area of Asia Minor. It was erected in 2nd century BC, in the western part of the city, near the fortification walls. The public character of this building is emphasised by numerous inscriptions that are related to the sport events and religious ceremonies. This gymnasium is distinguished by its huge dimensions: 105 by 180 meters that are unusual for the city the size of Stratonicea. 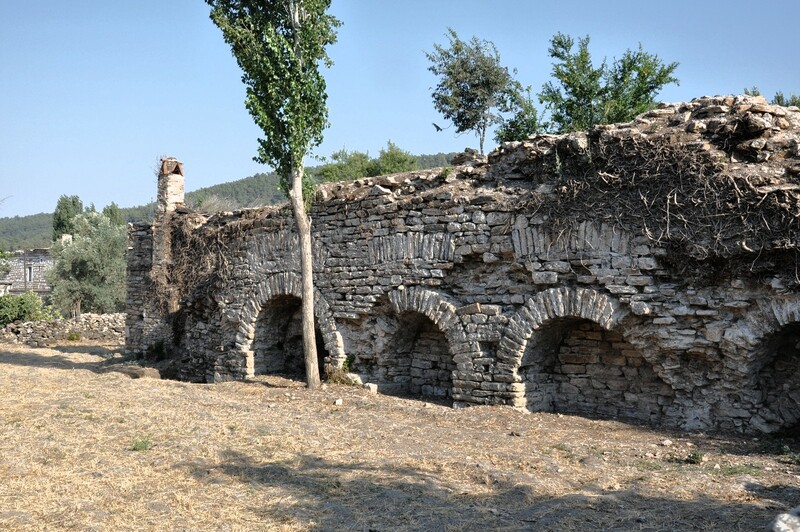 The necropolis, situated to the north of the city, was partly destroyed by the lignite mine. 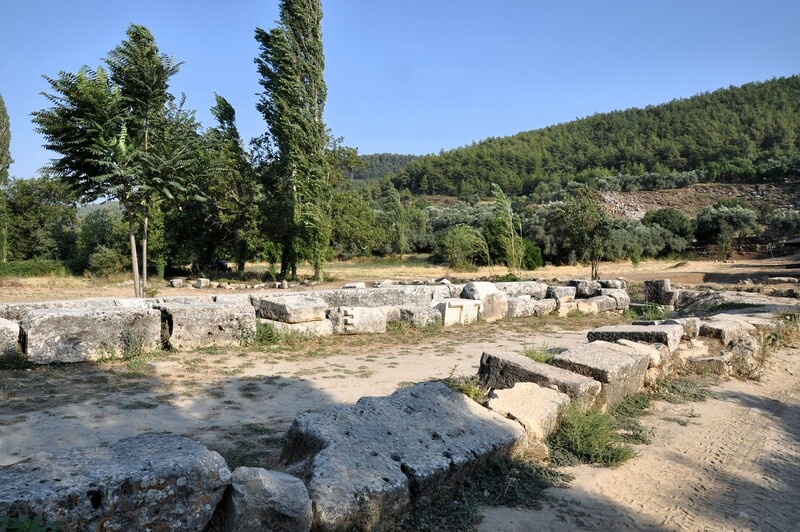 The remaining necropolis area has not been the subject of systematic excavations so far. The existence of the cemetery is confirmed by visible tombs and scattered pottery fragments.